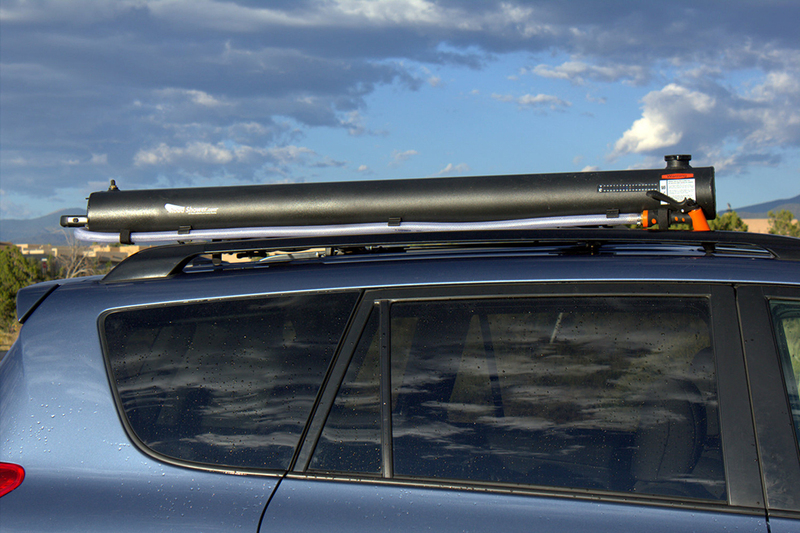 A rack-mounted portable shower system. 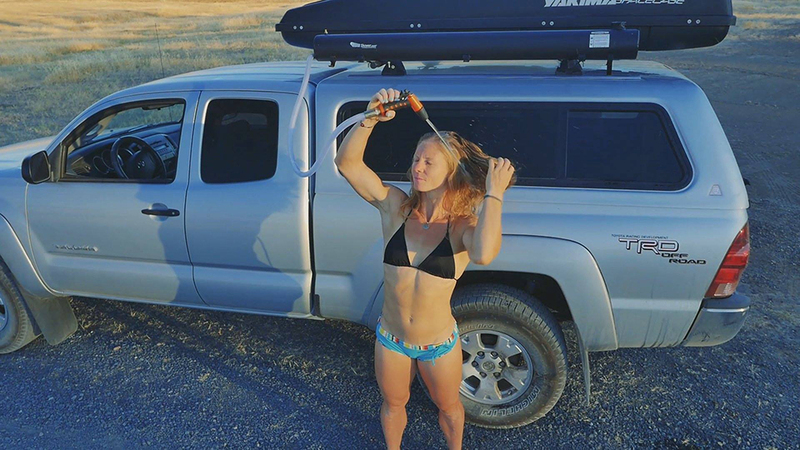 The Road Shower 2 holds up to 5 gal. of clean water and can be pressurized with a small compressor or hand pump. It comes with a thermometer, mounting carriage bolts and a food-grade hose.